What if I Don't Have Enough Credits for Social Security Benefits When I Retire? 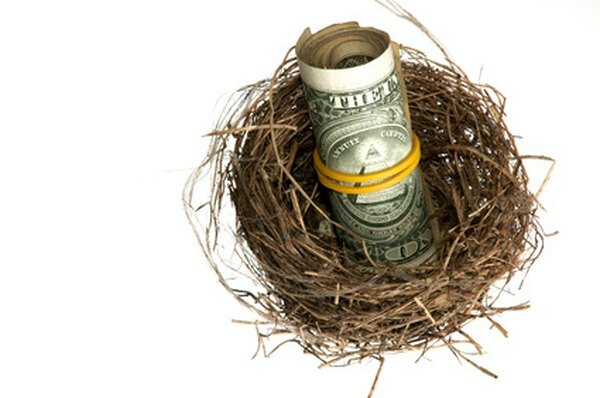 That Social Security nest egg depends on your payroll tax record. 1. Is There a Minimum Monthly Social Security Payment Regardless of Retirement Earnings? 2. Can My Non-citizen Wife Receive Social Security Benefits After I Die? 3. When Does Income Not Make a Difference on Social Security Benefits? The Social Security system pays retirement benefits to eligible workers, who fund the system with payroll taxes deducted from their wages. Not all workers are eligible, however. Social Security requires a minimum number of "work credits" on your record in order for you to draw benefits. If you don't have enough credits to collect Social Security when you retire, you can continue working and earning credits or try applying for Supplemental Security Income. Social Security measures your retirement eligibility with a system of work credits. A work credit is earned by making a specified amount of money and paying Social Security taxes on that income. The amount of income needed for a work credit has changed over the years. In 2019, you earned a single credit for earning $1,360 and paying Social Security taxes on that income. Social Security allows you to accumulate a maximum of four credits a year. At one time, Social Security work credits were also known as "quarters of work." You had to earn the work credit amount in a single quarter (three-month period), and could earn no more than a single credit in a quarter. That is no longer the case. You earn work credits on the minimum $1,360 of earnings no matter when or how frequently you earn them. Theoretically, you could earn four work credits in a single month in which you make $5,440. That would max out your work credits for the year, however. Social Security requires a minimum of 40 credits for retirement benefits, whether you take early retirement at age 62 or wait until your full retirement age which can vary from 65 to 67, depending on the year of your birth. If you don't have the 40 credits, you don't draw any retirement. You may not borrow or buy credits from another worker, nor can you earn retirement benefits contingent on future earnings and credits. It's crucial to pay Social Security taxes as you earn income. Many people working as casual laborers, or who take their wages in cash, neglect to report and pay Social Security tax. They're in for an unpleasant surprise when it comes time to apply for retirement or disability. Social Security won't bend the rules, accept late payments of payroll taxes or give any work credits for cash wages if no payroll tax was deducted. In order to become eligible, someone with less than 40 credits will have to return to work and begin paying payroll taxes until he meets the requirements, which could take several years. If you do not qualify for Social Security and have turned 65, you may be eligible for Supplemental Security Income. SSI provides funds for those with limited income and resources. What Happens to Your Social Security Benefits When You Die? How Does Civil Service Retirement Affect Social Security Benefits? How Much Do Military Credits Increase Social Security Benefits? Do Many People Lose Their Social Security Benefits After a Disability Update? What Are the Consequences of Filing & Suspending Social Security Benefits? Can You Collect Disability & Social Security Benefits at the Same Time? Can Both Spouses Get Social Security Retirement Checks? Can Someone Get Social Security Benefits If They Don't Work?